Aparthotel Adagio® Birmingham City Centre has launched a competition open to all to create a ‘One Minute Movie’ capturing Birmingham’s past, present and future. 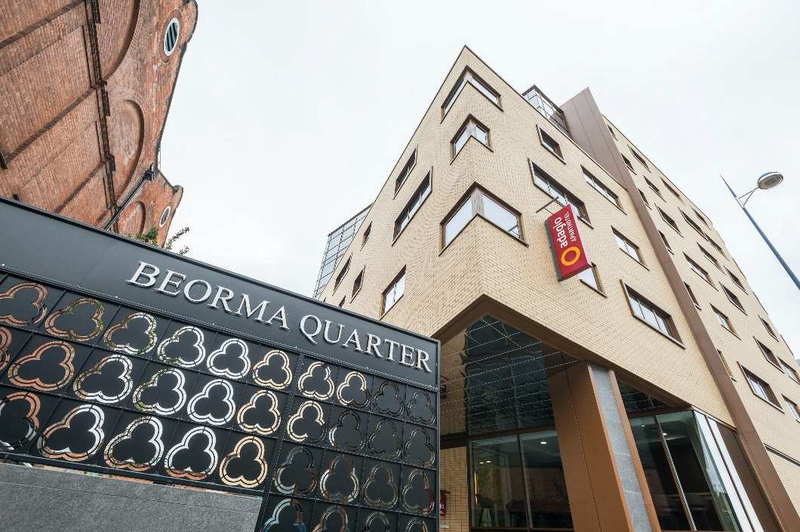 Just opened as part of Birmingham’s much anticipated Beorma Quarter development, the new option in central accommodation will be offering both cash and accommodation prizes to the winner and runners up. Birmingham was once known as Beorma, named after the tribal leader of the 7th century Anglo-Saxon founder of the settlement which later became known as Birmingham. Digbeth, the area in which the new Adagio® Aparthotel City Centre is located, dates back to the Beorma period, hence the name of the new regeneration area. The newly opened aparthotel offers a new solution for guests staying in Digbeth, ideal for mid to long stays, with full service facilities and kitchens in every homely apartment that allow guests to live and experience the city like a local. The site of the Adagio® and Beorma Quarter development is of great significance, marking the historic city line that dates back to medieval land division. Adagio Birmingham has traced these points and mapped the former city line, marking the path of the land divide with a line visible in the Aparthotel’s lobby as well as on the exterior of the building. Video files should be no longer than one minute and sent to beorma@masonwilliams. com by 31st October 2015. Full terms and conditions can be supplied directly to all entrants. Runners up will be notified directly and the winner will be announced in November 2015.